Friends of the Creeks volunteers sampled fish in Civic Park and observed other activity as well. Fish and wildlife photos by Bill Feil, people by Lesley Hunt. 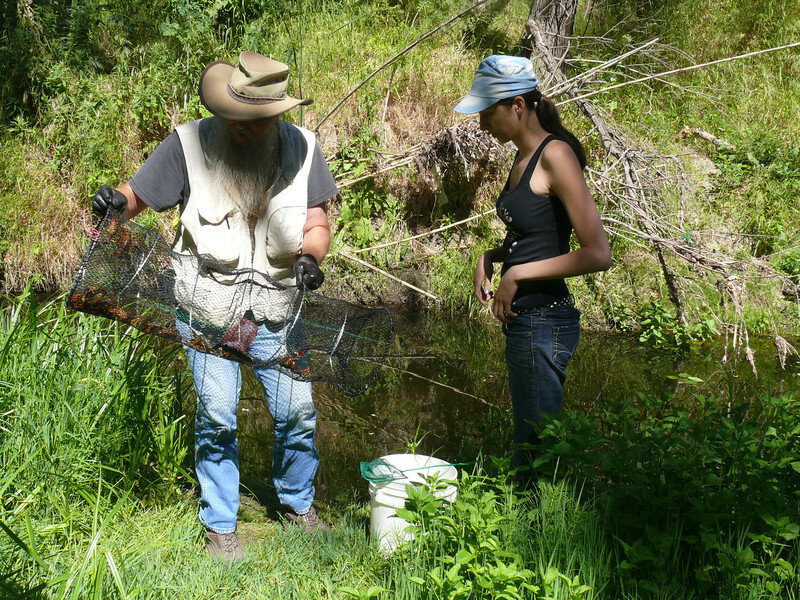 Jim and Helena inspect the catch from the first trap.